Liquefied Natural Gas (LNG) used to be just a way to efficiently deliver natural gas over long distances or for storage, especially for import terminals or natural gas utilities ‘peak shaving’ to level out supply and demand. Since the late 90’s however natural gas has seen more low-emissions and economical fuel applications for engines. Technifab first became involved in Liquefied Natural Gas back in 2000 as a subcontractor for a U.S. Department of Energy research program. The project was designed to advance the state-of-the-art in low temperature technology for LNG storage tanks. Technifab’s role was to take a developed concept and manufacture/produce LNG fuel tanks that could be used in heavy duty truck fleets and transit bus operations with modified diesel engines. The 100 gallon (380L) tanks utilized multi-layer insulation (MLI), a unique non-metallic central support beam, and a vacuum between the inner and outer tanks. A dual line fill system allowed gas generated during filling to be recovered and reused in the fill station or supply/storage system. A constant pressure system also gave consistent LNG delivery pressure and temperature whether the tank was full or nearly empty. The tanks passed testing for dynamic structural integrity by a major truck manufacturer as part of the program. Since that time Technifab vacuum jacketed hoses and piping have been used in a variety of LNG applications, including a recent LNG piping system in a manufacturing and test facility used by a Fortune 100 firm. Cryogenic gases are used extensively throughout the semiconductor manufacturing and testing processes. Liquid Nitrogen (LN2) is widely used to remove heat from the manufacturing process. Nitrogen gas, often stored as a liquid at cryogenic temperatures, is also employed to purge unwanted gases and to create inert environments in critical process areas. Environmental chambers, used to test parts and equipment at extremely low temperatures, are another common application of liquid nitrogen. From small bench top units to very large chambers, LN2 is used to achieve and maintain the desired temperature. Heat may be removed from a manufacturing or test process using re-circulating chillers. These chillers may use liquid nitrogen or other cold fluids to achieve the desired result. Cryogenic liquids are used in the food and beverage industry to cool, chill, freeze, and preserve in a wide variety of applications. Both liquid nitrogen and liquid carbon dioxide are often used in these applications. Liquid nitrogen is completely inert, colorless, tasteless, odorless, and has no adverse environmental effects. Cryogenic freezers and chillers are often chosen over mechanical freezers for the food industry due to the reduced equipment capital investment, faster and more efficient heat transfer, and reduced floor space claim. Cryogenic liquids are also used to supply the gas used in what the industry calls Modified Atmosphere Packaging (MAP) and Controlled Atmosphere Packaging (CAP). Liquid nitrogen injectors, popular in the beverage industry but also used in other packaging applications, may be used to inject liquid nitrogen which rapidly expands displacing air in the container. This can be used to lengthen product life or to pressurize the container. Laboratory equipment and sensors, environmental chambers, and the storage / preservation of biological samples are frequent uses for cryogenic liquids. Liquid cryogens can be used to rapidly reduce sample temperatures, maintain samples at very cold conditions, and create an environment to test products. Liquid nitrogen (LN2), for its versatility, and liquid helium (LHe), for its ultra-cold characteristics, make them popular cryogenic liquids used in the laboratory. Medical facilities, both research and commercial, commonly use cryogenic liquids for test equipment and for the storage and shipment of biological samples. Magnetic Resonance Imaging (MRI) units use liquid helium to cool their ultra-powerful magnets. Liquid nitrogen is most often used in the storage, handling and shipment of biological samples, although some MRI units also utilize liquid nitrogen. Another application that many people are familiar with if they have visited a dermatologist, is the removal of warts or diseased tissue with liquid nitrogen using a swab or cryospray device. The major cryobiology uses for Technifab products involve the cryopreservation of cells and tissues, cryosurgery, and lyophilization. Cryogenic liquids have advantages over mechanical freezers due to their speed and ability to limit the sharp ice crystals in tissue and cells that can form with other methods. Single sourcing for all of your cryogenic needs from Technifab is the best way to ensure that your requirements are met from initial start up through years of service. Our experience includes liquid oxygen, liquid hydrogen, liquid nitrogen, liquid carbon dioxide, liquid helium and cryogenic fluids. 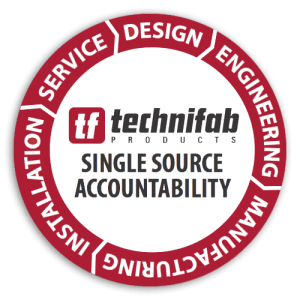 Technifab’s knowledge, experience, commitment to quality, and our reputation are part of everything we deliver. Have a Question? Talk to a Specialist!